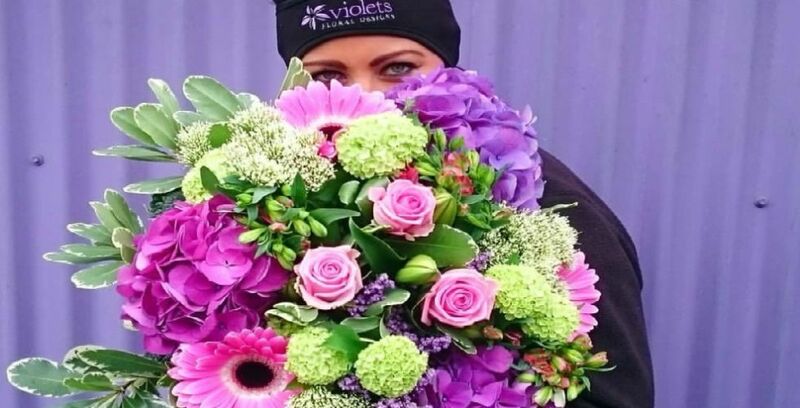 The family-run flower store Violet’s first opened its doors 26 years ago in Kildare and continues to grow despite fierce competition from the big supermarkets. In April 1993, 26 years ago, Catherine (my mother) who loved flowers all her life decided to do a floristry course and realise her dreams of owning her own business. Six months later, Violet’s Flowers opened its doors. Being a family of entrepreneurs, we also had a newsagents in the town where I learned a lot about business working alongside my dad Pat. 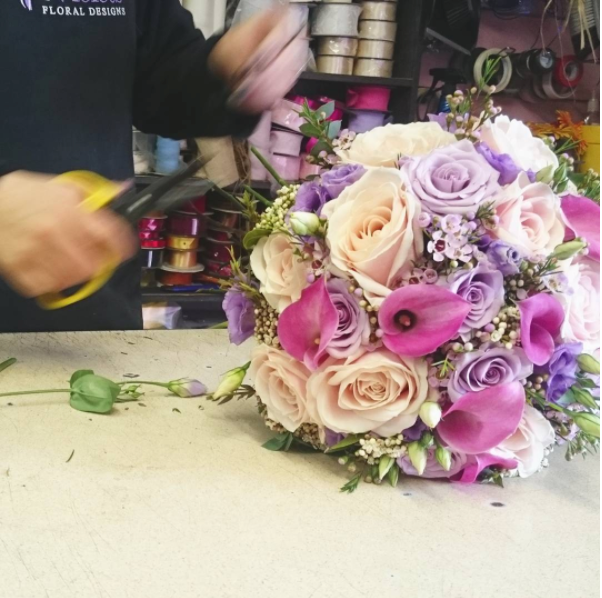 My brother, David, showed an interest in floristry when he finished school and decided to work in the flower shop also. When Violet’s had busy periods, myself and sister, Katie, would pop in and help out, Pat would do the deliveries – it was very much a family affair. 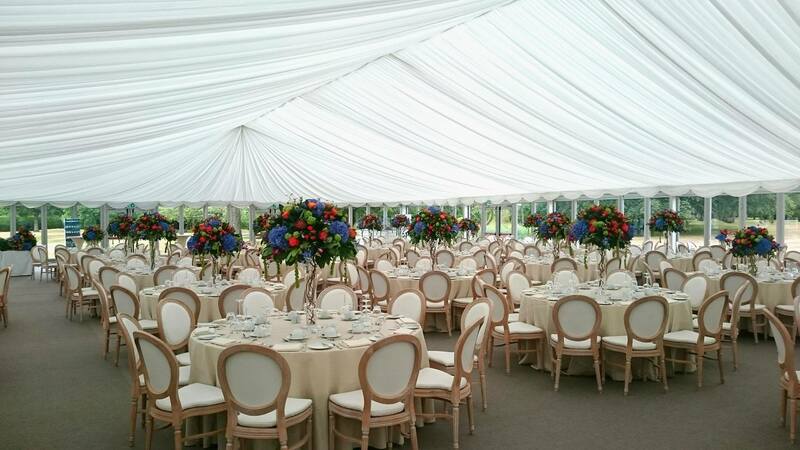 I really enjoyed these busy occasions and it ignited my passion for floristry. 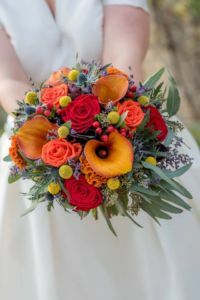 I love this job and how creative you can be and how much joy you can bring to people for a variety of occasions, from their wedding day to the birth of their first child. You really do see the circle of life in this industry. I love the seasonality of this business and how it’s forever evolving and changing. No two days are the same which makes it interesting and enjoyable. In 1993, Catherine and Pat decided to build up a stock of giftware and dried flowers little by little over six months. Catherine also started creating dried flower arrangements at home in preparation for the opening of the shop. Over the years, we have very much moved with the times – in 2014 we opened our online shop, we’re also very busy on our Facebook, Instagram and Pinterest pages and we like to keep up-to-date with all aspects of our social media. Social media has become a big part of our business and it allows us to interact with our customers on a daily basis. Going forward, our goal is to make as many people happy with our flowers as possible. We have toyed with the idea of opening a floristry school – all going well that will be in our near future. We are not affected by bigger stores selling flowers online as much as we were by big multiples selling flowers in-store. We have definitely seen a change over the years because of this – our customers that used to buy flowers on a weekly basis for their houses now pick up a bunch while they are doing their shopping. Fortunately for us, we create flowers for extra special occasions i.e. weddings, birthdays, anniversaries and are able to provide that personal touch that customers love. I feel that it can be difficult for every business at certain times of the year. During our quieter times, we have had to come up with fresh ideas to spark an interest in our customers. Most recently, we introduced beautiful framed prints, lanterns and giftwares – it’s important to keep our customers coming back. Who has helped you most along the way? 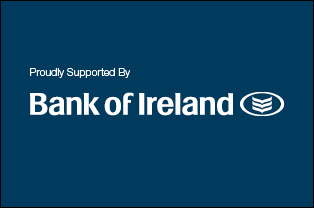 That’s easy – my mam and dad. Without them, Violet’s wouldn’t exist. We also have very loyal customers who have been there with us since the beginning. At this stage, there is nothing I would change but having overcome a recession, it has certainly changed our thinking about certain aspects of our business and as a result, has made us more savvy and resourceful. In our locality, we have a lot of family-run businesses that have been there for decades. Seeing these businesses continue to be successful, changing with the times, passing from one generation to another gives us the incentive to strive to grow our business for years to come.